In 2021 the world as we know it changed. The government collapsed, and the worst characteristics of human nature were shown as the world fell into ruins. Years after The Fall, the Tribes that were established are still at war. They still fight to keep what they pillaged, and most of all, they fight to keep their lies a secret. In a world filled with deception, nothing is as it seems. I was born into this world. Hunter Marks was molded into this world; a General— a person cold and harsh. A person meant to kill me. We were told to just believe. We were taught to never question. We’re supposed to be robots, and accept our roles in this altered society. Too bad Hunter and I don’t follow the rules. And we’re a hell of a lot stronger than they ever thought possible. They’ve been searching for the world’s deadliest weapon. And I’m not following the leader any more. I would have given him everything. I would have melded every part of me into him. My breath caught in my throat. I already had. Love hadn’t existed in this world. Only hate, deceit and lies, but by letting him in I’d let all of that crumble. By letting me in he’d done the same, and now we were engaged in an even deadlier game than before. We weren’t enemies as we had been born to be. We weren’t friends as we had come to be. Then what were we? I let my hands run through my hair as I clasped my eyes shut even tighter. We were cursed. Release Special Ebook- Just $1.99 for a limited time! 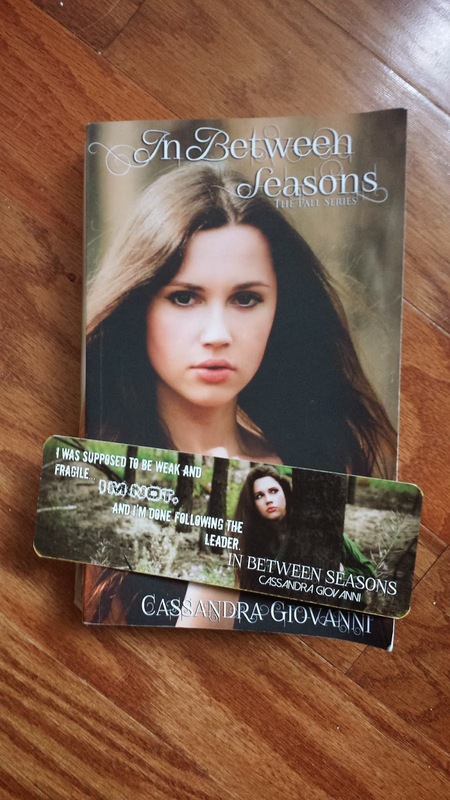 Cassandra doesn't remember a time when she wasn't writing. In fact, the first time she was published was when she was seven years old and won a contest to be published in an American Girl Doll novel. Since then Cassandra has written more novels than she can count and put just as many in the circular bin. Her personal goal with her writing is to show the reader the character's stories through their dialogue and actions instead of just telling the reader what is happening. Besides being a writer, Cassandra is a professional photographer known for her automotive, nature and architectural shots. She is happily married to the man of her dreams and they live in the rolling hills of New England their dogs, Bubski and Kanga. 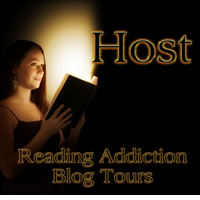 Cassandra Giovanni is published by Show n’ot Tell Publishing based out of Connecticut, USA. Trey and Aurora have hit the road with Catalyst for the Until Sanity Tour. For Trey, adjusting to life as a vampire while getting on stage in front of screaming fans every night proves difficult. The limelight forces him to do things he swore he wouldn't, like feeding from the occasional fan. Keeping his secret from the band is harder than Trey expected, and the dull ache of hunger is always with him. Aurora tries to help Trey adjust while attempting to further her career from the road. She continues to paint, determined not to lose herself in the media maelstrom that comes with being married to Trey Decker. But strange vampires are popping up at concerts, and the newlyweds realize they may be in over their heads. They owe a powerful vampire a favor, and he’s come to collect. But the price is too high, and Trey’s band mates are at risk of becoming collateral damage. Will Trey and Aurora be able to thwart the forces working against them and ensure that everyone they love is still around to share in their success in the end? I hadn't been on stage for all of five minutes when I felt the little buzz of power vibrating in the back of my skull. I was careful not to let it throw me off my game as I casually searched the crowd for the source. My first thought was that my vampire stalker was back, but she hadn’t generated a power buzz like this one. Aurora was backstage tonight – not like I’d mistake her power signature for anyone else’s – but it was clear that at least one vampire was standing in the crowd. When the song we were playing ended, I took my guitar off and walked back to the stand Chase and his drums were perched on. I grabbed a bottle of water and took a big drink, just to give myself some time to think. O’Shea started telling the crowd a story – leave it to him to fill in the silence – and I turned back around to scan for potential vamps again while he spoke. It took a moment, but I spotted him. He was sitting in the third row from the front, off to the left. He was even wearing a black suit, kind of like the ones the Emissary wear, but I couldn’t tell whether it had their emblem embroidered on the breast pocket or not. I met his gaze and held it, letting him know that I’d found him. He stared right at me in that way that vamps do when you just know they’re trying to read your soul, one wispy layer at a time. He wasn’t just here for the show. That much was obvious. If he was Emissary, what on earth was he doing at a Catalyst concert? Certainly the Emissary had more important things to do than check up on Aurora and I, like tracking down Malena, for one. And if he wasn’t Emissary, well, that was even more confusing. I wished Aurora were sitting there in the front row. At least that way I would know she was trying to decipher the same questions I was. At least that way I would know she was safe. Instead, she was enjoying the show on a screen from the backstage lounge tonight, while simultaneously snapping pictures of several paintings to upload to her website so she could ship them back to The Waking Moon. Then I realized there were two of them. The second one was dressed like the first and was sitting in the lowest section off the floor to my left. He met my gaze as well, and I had to force myself to look away so the camera wouldn’t catch my stare-down on the big screens. O’Shea’s voice broke through my thoughts, and I heard him asking the crowd if it was okay if we slowed things down for a minute. The cheering that resulted was my cue to at least try and forget about the vamp in the crowd. Like that was going to happen. I set my water bottle down by my mic stand and leaned into the mic. “Let me see those cell phones in the air,” I said as the guys starting playing the intro to “Sweet Disguise.” I strapped my guitar back on and waved one hand back and forth to direct the crowd until the verse began. As I sang, I scanned the crowd again for the mystery vamps but they were both gone. I tried not to worry about it, not to wonder where they had gone and why they’d left in such a hurry, but it was easier said than done. I couldn’t for the life of me imagine why they were here. Even if I’d wanted to warn Aurora, I wasn’t capable of sifting through all the thought trails in the building to find hers. I’d tried on several occasions, but I could never quite manage to hone in on her specifically through all the energized, almost frantic thoughts, coming my way – more than half of which were about me. The rest of the set seemed especially long after that, which made me feel like crap. The crowd was really into us, and I did my best not to be distracted. I’m even pretty sure it worked, but I was more than relieved when we finished the last song before the encore. I made my way to the dressing room at last. Aurora was sitting at her laptop, and jumped up when we all came into the room. “I’m ready, I swear,” she said, hurrying over to the makeup chair as Chase plopped down in it for his zombie makeover. I changed into my tattered suit, suddenly feeling more than a little ridiculous about the paranoia that had rattled my brain throughout the show. Aurora was here. She was fine. In fact, everything seemed fine. I started to wonder if I’d seen the vampires in the crowd at all. It didn’t make sense, anyway. Why would a vampire make an appearance in the crowd just to completely vanish moments later? Maybe I really had imagined the whole thing. Maybe I was in worse shape than I realized. I made a mental note to down some blood from the stash first thing after we finished here. I couldn’t help but scan the crowd again for the vamps when I took the stage as a zombie for the encore. No buzzing power, and no Emissary-looking mystery vamps. I was mostly relieved, and I focused on giving the fans the best zombie performance I knew how to give. Aurora was waiting for me in the lounge and we headed for the bus together. It wasn’t until we were about to climb the bus’s steps that we both felt it at the same time. 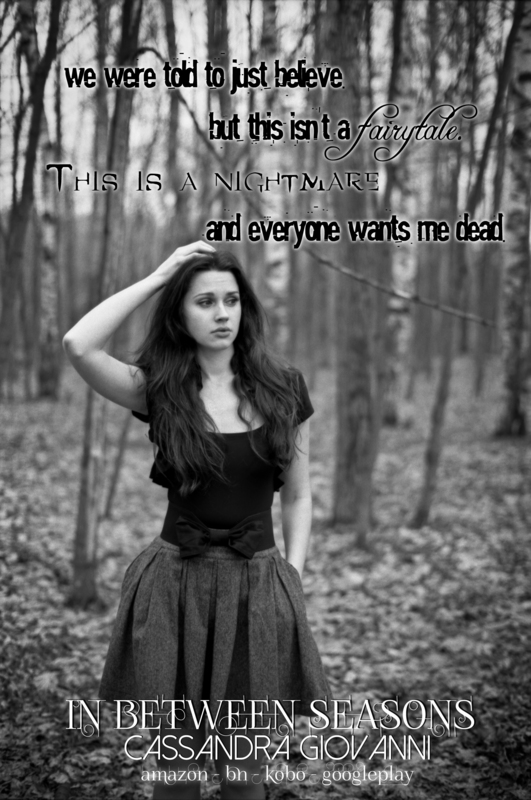 When Aurora meets Trey, a famous singer and musician, she’s only hoping to get her fill of human blood for the week. The last thing Aurora expects is for Trey to make her feel alive for the first time since she was, well, alive. It begins with a casual painting lesson at her art studio, The Waking Moon, and quickly turns into a forbidden romance. Aurora is forced to hide her true identity from Trey, while keeping her relationship with the human a secret from other vampires in her Brood. Trey’s band is recording a new album and with Aurora as his muse, Trey is writing songs like never before. After being hired by their record label to paint the cover of the new album, Aurora has a legitimate reason for spending so much time with Trey and his band mates. Aurora can’t deny the unexpected connection she has with Trey, which is fueled by glimpses into his emotions every time they share a kiss. 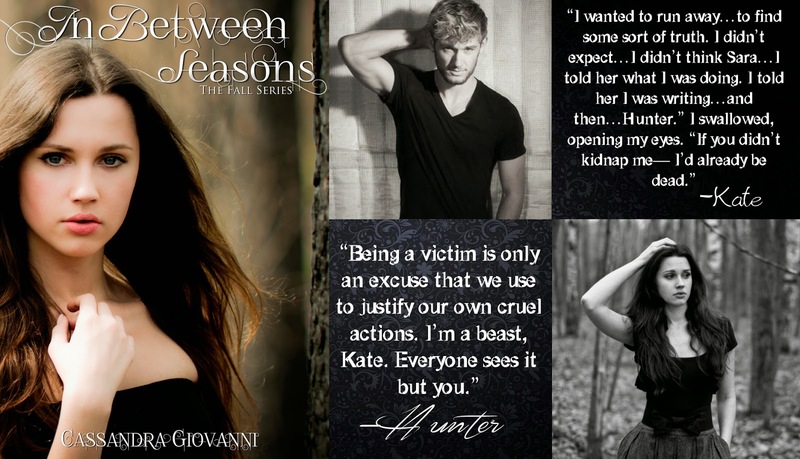 Caught between two worlds, Aurora must attend celebrity award shows and vampire rituals, find time to feed, and protect Trey from the dangers of the night, all while preserving her secrets. 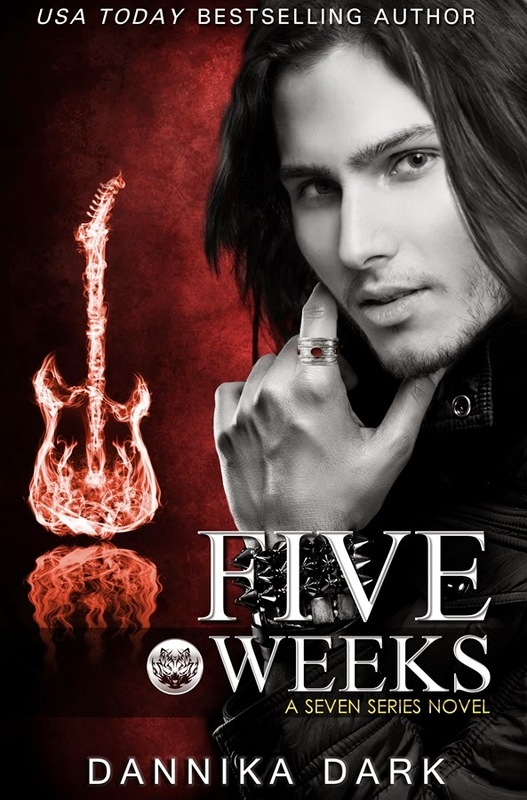 Catalyst frontman Trey is no stranger to chaos, but even the life of a rock star couldn't prepare him for the consequences of loving a vampire. Trey's life is in danger; threatened by the very group he must join to stay alive. His struggle to continue his career and release a new album with the band is marred by events that force him to ask a powerful Synod Elder for help. Aurora has to keep Trey alive until she can make him a vampire, but her own kind will stop at nothing to prevent it. The head of the Emissary is having her followed, and if she can't figure out who is behind the violent attacks, Trey might not make it to the full moon. As Aurora battles her own kind, she's also plagued by the risk she's taking by changing Trey. Will her moon-given power be enough to carry Trey through the change, or will he be left floating in the wake of destruction? 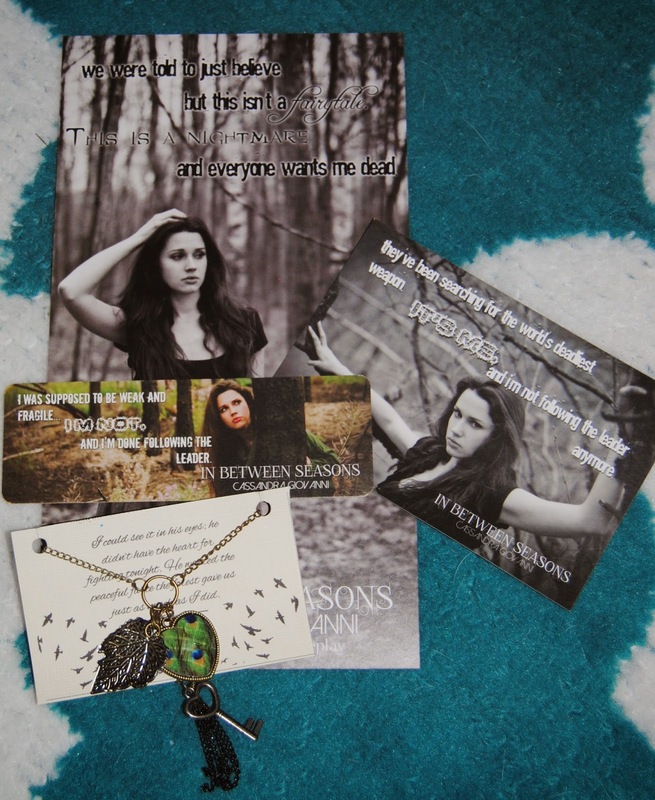 I write fantasy for teens and adults. I've been creating stories for as long as I can remember. I'm also an avid reader, and I blame Amelia Atwater-Rhodes and her book "In The Forests Of The Night" for my vampire obsession. I absolutely love vampires and anything paranormal, but I enjoy fantasy of all kinds. I'm addicted to Oreos and Raspberry Dr. Pepper from Swig. When I'm not writing I enjoy traveling, playing board and card games, killing zombies on the Xbox with my hubby, and spending time with friends and family. Music has always been a passion of mine. I've been playing drums since I was 12. 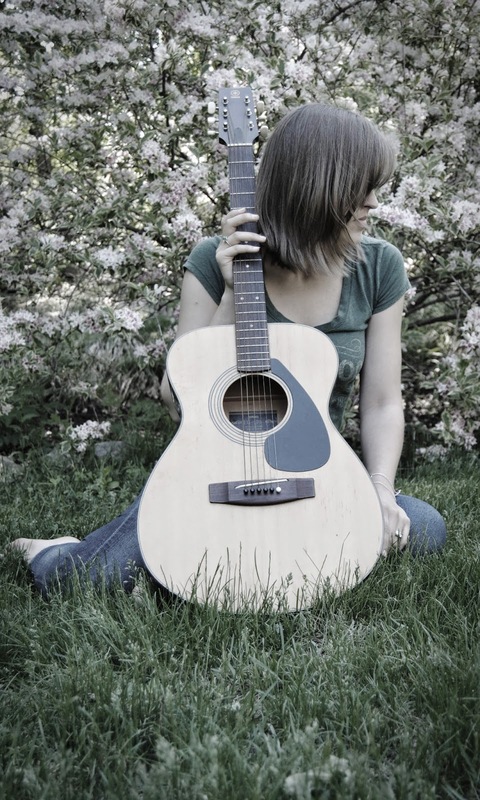 I also love playing guitar, singing, and going to concerts. My favorite color is green, and the uglier the shade the better. I get bored of my hairstyle easily which has resulted in me having many looks in the last ten years. I live in Southern Utah with my husband and son. I'm currently preparing for the release of the third installment in the Blood And Guitar series, Fangs And Fame, which will be out August 25, 2014. Izzy has always loved the freedom and adventure of life on the road, but she’s recently decided to settle down—as much as a rogue wolf can. When her boyfriend gets her a job working at a hot Shifter bar, she runs into the last person on earth she expected to see again. Jericho isn't the famous rock star he once was, though he still plays in a local band and loves to party. Beautiful women come and go, but music is his only passion—until a sassy redhead named Isabelle Monroe shows up unexpectedly. 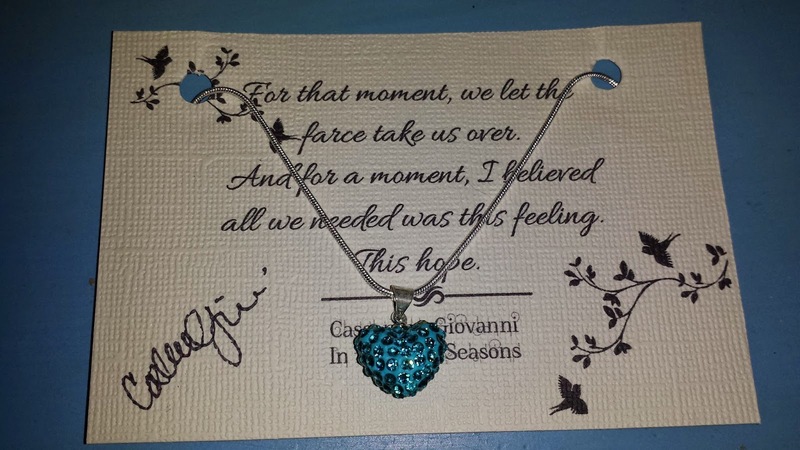 Fate reunites two former friends living with one foot in the present and the other in the past. But will they have a future when one of them is forced to choose between life and death? Old habits die hard, and sometimes the toughest addictions to shake are the ones that control our hearts. I start hating Oliver just after his older brother Christian’s death. I drag him down a road of humiliation and pain to try to cope with what his brother did to me. A few months after Christian’s passing, Oliver leaves town, and for the next two years, he is absent from my life. The demons claw their way back in, and I must learn to live with the secret that has destroyed me. Now I’m starting a new life, away from Gargle and away from my past, but everything crashes when I see Oliver the first day at university. It’s clear that many things have changed since we’ve been apart. Now he is captain of the rugby team and the most popular bloke on campus. Then he makes a bet and gives me an ultimatum: I leave Braxton forever and start somewhere else, or I stay and play his game… because he’s never forgotten that it was me who ruined his life two years ago. For several long moments, no one makes a move. His eyes harden on me. Only two steps divide us, and I consider screaming. The adrenaline starts pumping through my body, but I stand there immobile, wondering what he will do or say. A small smile creeps across his mouth as he locks the door of the bathroom. This is not good, not good at all. My mind shouts at me to start running, but I can’t move. He’s changed so much since the last time I saw him. His lean, ripped body looks thrilling, and I begin to wonder if he always aimed to look like his brother. Strong, handsome, and not afraid of anyone, even me. His pupils dilate and he inhales quickly, taking a step forward. “Get out,” I say before he gets too close to me. My voice sounds weak, but Oliver doesn’t even acknowledge my order. He moves even closer. Soon I’m pinned to the basin, breathing like an asthmatic. His hands are on both sides and I’m at his mercy. His eyes are penetrating me, showing me that he is in charge like I once had been. My heart leaps in my throat, but I don’t dare to move. I’m afraid to touch him, to make a connection with his body. 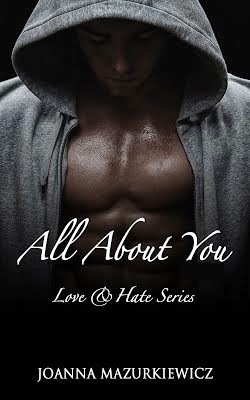 Christian was a monster, and Oliver is a man who desires his payback. He wants to break me, though, not caring that we were friends once before. “Indi, you’re going to listen to me very carefully because I won’t be repeating myself. It’s only this once, right now, that we are going to talk,” he says, almost whispering as he leans close to my face. I want to move away, scream, shout or do anything to get away from him, but my body doesn’t want to react. I’m holding my breath, feeling the heat embrace every small part of me. I can’t give him any response. I’m not the person that I used to be. Here I’m weak, lost, and confused. Joanna Mazurkiewicz was born in Poland. She moved to United Kingdom when she was only nineteen and just finished high school. She had aspired to be a writer upon completion of the Harry Potter series but also enjoyed reading books like ‘Gone with the Wind’, ’Animal Farm’ and ‘The doll’. She graduated from Swansea University with a bachelor degree in American Studies. While studying in the UK she made a decision to start writing fiction in English. The “Whispers of the Sprite” is her first debut novel and she is currently working on other projects. Joanna lives in Cowbridge, a small town in South Wales near Cardiff with her boyfriend Bruce. She enjoys cycling around Welsh countryside some of which has become the settings in her first series. Manroot is the evocative and stirring story of a lonely town in Missouri, and a young woman named Katherine who discovers a mystical side to herself that she’d never known existed. Anne Steinberg weaves together fantasy, romance, and a young girl’s coming of age into a darkly magical story. In the spring of 1939, Katherine Sheahan and her father, Jesse, are looking for work in the isolated tourist town of Castlewood. Jesse gets a job as handyman and Katherine as a maid at a small hotel. Jesse drinks and neglects his work and eventually disappears, abandoning his daughter. Frieda Broom, the hotel Manager, takes Katherine under her wing, and teaches her about ginseng, the manroot, and other secrets of the foothills. Katherine discovers that she is a natural healer and has the ability to communicate with spirits, a gift she inherited from her Navajo Indian mother. Among the hotels regular clientele is Judge William Reardon. Escaping his sterile marriage, he becomes captivated by Katherine. As the pair bond over astrology and gardening, Katherine becomes convinced they belong together, despite him being much older than her and married. 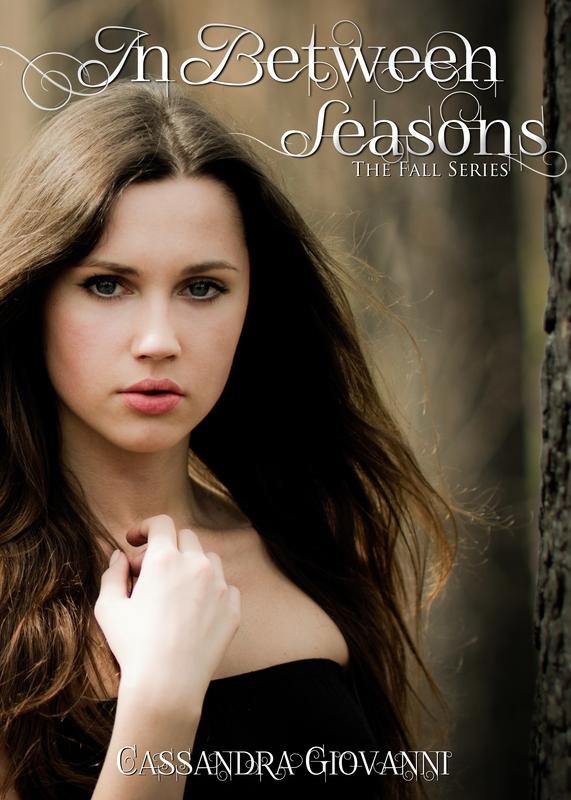 As they begin to fall in love, the violence of dark magic threatens to annihilate all Katherine knows and holds dear. Can their love survive? Working alone in the kitchen, Katherine scrubbed it clean. Looking up at the calendar, she knew tomorrow was Friday. The Judge was one of the few people who stopped here regularly, even now, in late autumn. Perhaps it was telling Sally that had started it all, for now her thoughts of the Judge were like a fever that stayed with her. Last Friday when she took him his bourbon and spring water, she noticed it for the first time, the birthmark. It was on his right hand, so clear and vivid that she had almost dropped the tray. He had smiled at her nervousness, called her ‘my dear,’ and given her a silver dollar for a tip. Katherine slept restlessly; she dreamed of the Oh mu and heard its moan of agony echoing in her sleep. She dreamed of Papa floating in the muddy river, caught and held under by a treacherous branch, his eyes vacant pools staring upward through the water. It was so real that in the morning when the siren from the firehouse once again split the air, she rushed into the kitchen where Frieda was telling Bruce, “You be careful…another one’s gone and gave herself to the river. It was a suicide, a painted woman from the Eagle’s nest…” Frieda shivered as she told the story the way that she had heard it from the postman. The woman in the night had cut her wrists, but the dying was too slow, so she ran from the clubhouse, perched only for a moment on the railing, then jumped headlong into the cold water. Katherine moved slowly this morning. Frieda fussed at her, but knowing the girl had never been lazy, she thought the drowning must have upset her or maybe she was coming down with something. The guests were all gone. They only expected one tonight – Judge Reardon. They’d have time to go into the woods today, hunting for herbs and the manroot. But Frieda went alone as the girl looked a bit too peaked. Alone, Katherine cleaned the rooms again; it took no time, for they were already clean. She lingered in Number 8, The Judge’s room. She knew a lot about him now, and she felt a very real presence that he left in the room. She knew intimate things about him – like the size of his shirts, the smell of his aftershave, which side of the bed he slept on, how he preferred his coffee, the brand of cigarettes that he smoked…numerous details about him that she had collected bit by bit, saving them in her mind and in her dreams, like pennies to be spent at a later date. He knew nothing of her dusting his dresser, straightening the bed after he had risen. He was not aware that while he was out, she pressed his shirts to her lips, inhaling his aroma, and sat on the bed in the same crevices his body had made over the years that he had slept here. Now she knew with the wisdom and instinct of centuries, she knew that what would be, would be. Last week for the first time she had seen it, the birthmark, on his right hand. It was paler than the surrounding skin, crescent-shaped like a slice of the moon, and within its outline, unmistakable, a perfect five-pointed star. She knew its shape by heart, as just above her right breast she had its identical replica. The Navajo blood flowed strongly in her veins, with all its beliefs in the signs, even though her father had tried vainly to smother these strange alien traits. Since her childhood she had believed that she could speak to animals, and she could find herbs hiding under any rock and knew exactly what they would cure. She stayed dreaming in the Judge’s room until she heard Frieda calling her. The woman had returned from the woods, carrying a full burlap sack. Placing the sack on the table, she pulled out one root. “It’s perfect…it’s prime, probably ten or fifteen years old.” She held the root up to the light. Its torso similar but lighter in color than a carrot, with no hint of orange, just tannish-brown, the root seemed to have two arms, two legs, and a fine network of tendrils. It appeared to be a miniature figure of a headless man. “What is it?” Katherine questioned as she stared at the unusual root. “The manroot,” Katherine repeated, liking the sound of the word and feeling it described the plant perfectly. “It seems as if it could contain magic?” she said, as she gingerly touched it with a timid finger. “Oh, they say it does. It works wonders. The Orientals prize its properties – to them it is also the love root. It does many things, cures most anything that ails you. For me it lines my pockets – Bailey’s general store pays about four dollars a pound.” Emptying the sack on the counter, Frieda explained, “You can’t let it get damp – it ruins the root.” She began taking them out, examining and inspecting and drying each root with a clean dish-towel. They sat at the table and by habit Katherine helped her. They drank the tea, and Frieda continued drying the root. She did a rare thing: she hummed as she dried the fine tendrils. “It takes time for the manroot to grow. You shouldn’t harvest a root less than seven years old, and you must always plant the seed when you harvest – each red berry has two seeds – not deep, just under the leaves. It’s a sin…to harvest and not plant the seed,” she said solemnly. Katherine’s face fell with disappointment. In previous gossip from Frieda, Katherine had learned that the Judge lived twenty miles up the road with a wife who was said to be fragile since the births of her two stillborn sons. There was not much in these parts that the Judge did not own; he was rich, well-liked, respected, and known to be a fair man. Remarkably young to be a judge, no one faulted him for his tendencies to card-playing, drinking whiskey, and relieving himself with the local women. A lesser man with these leanings would be called no account, but he was, after all, the Judge, and this title brought with it a tendency to look at vices as virtues. It was just another Friday. Destiny waited for her; she felt it close, closer than it had ever been. The hotel was quiet. There were no guests and the only person staying was the Judge, who would be out late. Katherine played the radio softly, dancing about the room, pretending she was at Castlewood waltzing under the lanterns with him. She put the perfect manroot in the Valentine box with her other things. After midnight when he rang, Katherine shook the sleep from herself when she realized the bell from Room 8 was ringing. She owned no robe, and the persistent ringing threatened to wake Mr. Taylor. She flew up to the Judge’s room and knocked timidly, aware that her hair was down, and she was in her nightgown. It was plain enough – white cotton, sturdy and sensible. He opened the door to her. He seemed surprised. “I’m sorry, sir, everyone is asleep,” she said, not really knowing how to apologize for her attire. He blinked at her, his hair ruffled, his shirt-tail out; she had never seen him like this. He nodded and leaned forward studying her face. “Come in.” She did so, but left the door open. He smiled and stopped. “Well, try it.” He pulled up a chair in front of her and held out his thumbs. She blushed. She hadn’t meant that she should rub his thumbs, but he was there across from her, waiting. She reached forward, and with a firm grip clasped his thumbs and rubbed vigorously, while he leaned back and shut his eyes. She alternated between each thumb. It seemed natural to her to be touching him. “Do you know what it’s like to play God?” he asked abruptly. “I’m sorry, sir,” she said quietly. “Stop saying ‘sir’ – my name’s William. The Judge…sir…that’s somebody else. I don’t feel like a judge right now. I never wanted to be a judge.” He opened his eyes and she drew back. He looked down at her hands. “Don’t stop. By god, I think it helps!” He closed his eyes once more and held out his thumbs to her. The house was quiet. 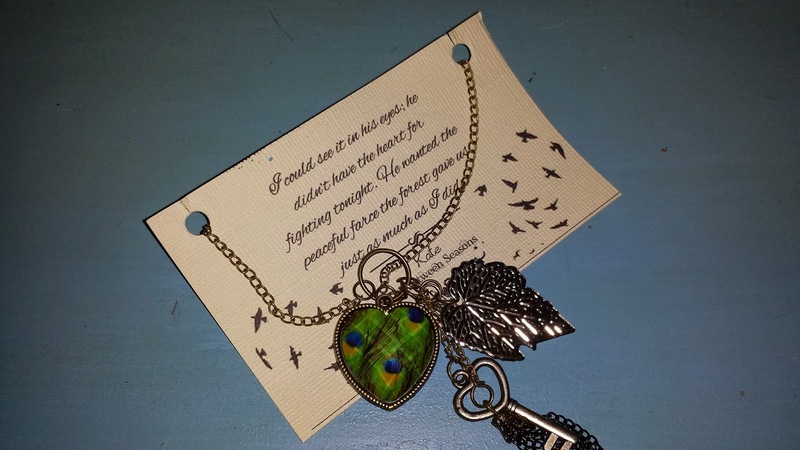 Somewhere a nightbird called; the ticking of the clock in the hall kept time in its steady rhythm, and Katherine felt the sound of their breathing in tune. 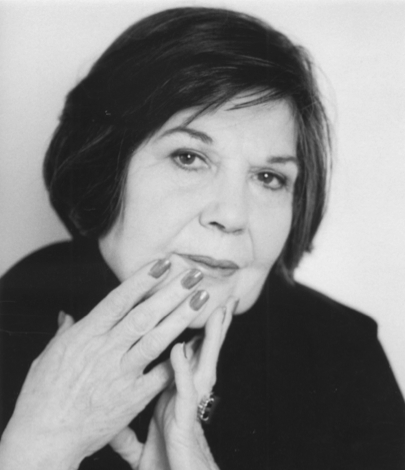 While living in England, Anne Steinberg’s first novel, Manroot was published by Headline Review in London. 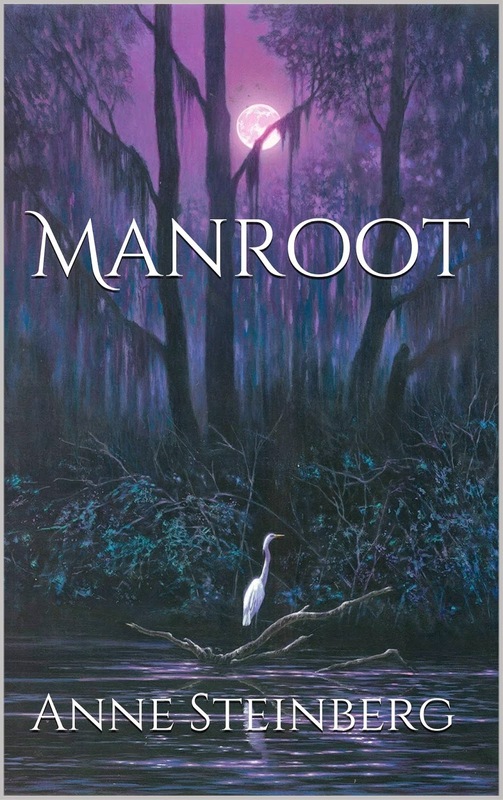 Manroot was heralded as an important first novel in 1994 and included in the Headline Review’s prestigious “Fiction without Frontiers,” a new wave of contemporary fiction that knows no limits. Eight modern storytellers were featured: Anne Steinberg, Margaret Atwood, Iain Banks, William Gibson, Peter Hoeg, Roddy Doyle, and E. Annie Proulx. It was an auspicious beginning to a long and varied career for Anne Steinberg, who went on to write several acclaimed novels, Every Town Needs A Russian Tea Room, the story of a wealthy socialite who falls in love with a penniless young Russian immigrant who is haunted by a bizarre shameful secret, The Cuckoos Gift, First Hands, and An Eye For An Ear. She is also coauthor of The Fence, written with her grandson Nicholas Reuel Tolkien, the great grandson of J.R.R. Tolkien. Nicholas is a filmmaker, director, and published poet. The Fence is a chilling story of a magnificent Gothic fence forged by a despicable blacksmith and infused with evil. Anne was a partner in the world famous vintage clothing store, Steinberg & Tolkien, on Kings Road in Chelsea. After a successful run for over 20 years, the shop closed, and she returned to the US. Approaching her eighty-second birthday, she now writes, reads, and studies antiques, American Indian history, animal welfare, mythology, and folklore legends.